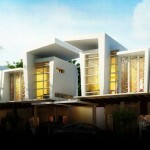 Win del Rio Bogor is the first township project of Win Properties. 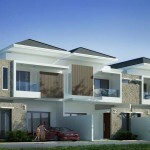 It is strategically located on Jalan Raya Semplak in Bogor Barat and it will be developed on approximately 1.8 hectares of land with a total of 80 residences and 13 commercial units. Eight types of Housing units will be available, ranging from 43 to 87 square meters built-up area, built on 90 to 201 square meters of land. The township will be constructed by a reputed contractor, PT Trimegah Bumi Artha, with high quality local and imported materials.